If the government attempts to draft yeshiva students, the students will have no choice but to leave Israel, said Rabbi Ovadia Yosef. If the government goes full force with its attempts to draft yeshiva students, the students will have no choice but to leave Israel, said Rabbi Ovadia Yosef. In a lecture at a study hall near his home in Jerusalem, the former Chief Rabbi said of the draft that “there is a terrible edict hanging over our heads. G-d forbid, but we would have no choice but to leave the Land of Israel in order to ensure that the yeshiva students are not forced to fight. “We are surrounded by enemies and haters, but for these evil ones who hate Torah, it doesn't matter,” Rabbi Yosef said referring to the groups demanding that Hareidi yeshiva students serve in the IDF. “All they are interested in is punishing us, the Hareidi yeshiva students. This is a terrible edict, we are in great trouble,” he said. 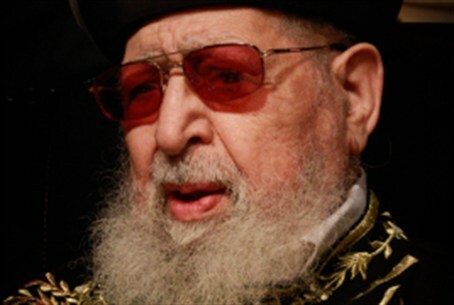 “The Torah is in danger,” Rabbi Yosef added. “How will they be Torah scholars if they are drafted into the army? We will G-d forbid have to leave the Land, to travel to outside the Land of Israel, in order to ensure that the yeshiva students will be free to study. We are in great trouble, this is the time for each and every person to commit to vote for the parties that support the Torah,” he said. Rabbi Yosef also slammed those who planned to vote for other than the Hareidi parties, Shas and United Torah Jewry. “They must be aware of the Judgement Day. What will they answer G-d on that day? G-d will tell them that they forsook the Torah and left it in the hands of the evildoers. May G-d upset the plans of our enemies,” he added.